Help us celebrate our fellow artists and makers! Spread good vibes and build community. 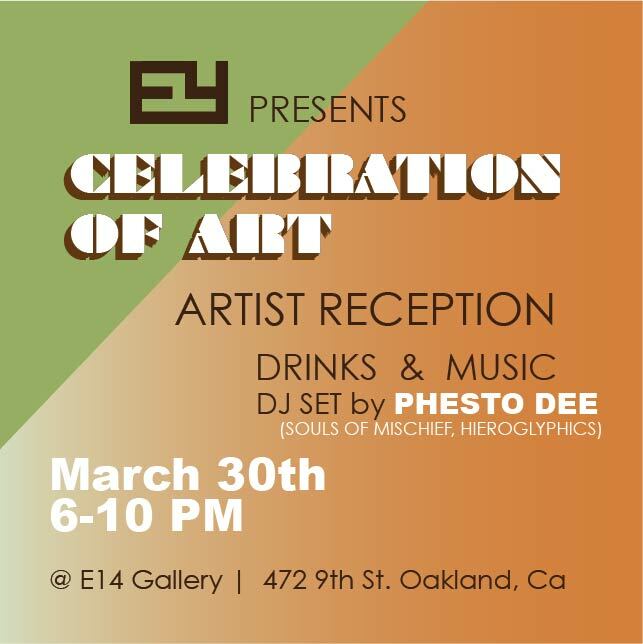 With a special live DJ set by Phesto Dee (Souls Of Mischief / Hieroglyphics), drinks, and horsd’oeuvres. Chat with some of your favorite artists here at E14! We can’t wait to see you there!